– Zita Law, Deep Snow – | The World of C.C. 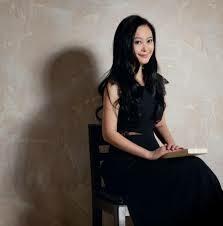 A very long time ago when I was in the boarding school, I found myself reading novels from series of famous novelists in Hong Kong, such as Amy Tam and Lilian Lee. Yet Zita Law (pen-name Deep Snow) remained a writer with a very distinctive style of stories. The first time I read her book was a sci-fi story about two sisters, in some ways it was a little like Sense and Sensibility. However with the elements of time travelling and dreams, the stories made rather romantic. I have been reading more of her magical and dramatic stories, including a pawn shop where everyone can pawn anything – from objects to feelings like love. The story that remained on my mind very distinctively were two stories – First a stories about two women (one beautiful and one ugly) finding their way into happiness, the beautiful woman took up a business venue and become more forward over her feelings. As for the ugly one, she has worked hard to find her way to peace for her country and eventually found a romantic man who loves her. The second story was called “The Gate of the Goddess” – it was set in Egyptian times when a young girl who was in love with a boy that would never look at her, no matter how many times she tried to win his heart. She prayed to the gods to give her beauty or something, but over the years she learnt to build her own life with her talent in culinary. She eventually become rich and the man she loved began to look at her, but it was then she realized she didn’t really need him (or shall I say she realized he could never satisfied her?). I liked the story a lot, for its emphasis on women’s freedom and happiness without required to be married.